This book is written for the person who wants the truth of Freemasonry simply, but powerfully, told! Bill Schnoebelen, a former 32 Degree Mason, shows and proves the Satanic roots of Freemasonry. While simply written, this book reveals profound truth about both Visible and Invisible Freemasonry. 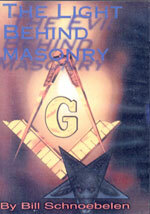 If you have friends and family who are Freemasons, you need the information this book provides. An incredible 2 1/2 hour video that covers Masonry like none other! Masons claim to be "seeking the light" and they earnestly do so; but, they do not know that the "Light" for which they are seeking is Lucifer -- that old deceptive "Angel of Light"! Former Witch and Mason, Bill Schnoebelen, talks of the following subjects: Demolay, Scottish Rite, York Rite, Shriners, Eastern Star, current symbolism, links to the Satanic Egyptian Mysteries, and the 12 steps to get out of the Masonic Lodge. These steps are mostly spiritual, but does include a letter of demit to officially get out of the Lodge. Also get book, "Masonry: Beyond The Light" How can a true Born Again Christian, who has accepted Jesus Christ as his Savior, the Light of the World as the Bible calls him, go into a Masonic initiation ritual and declare that he is in darkness and searching for light? Yet, this is exactly what a person does during the first three rituals of Masonry. 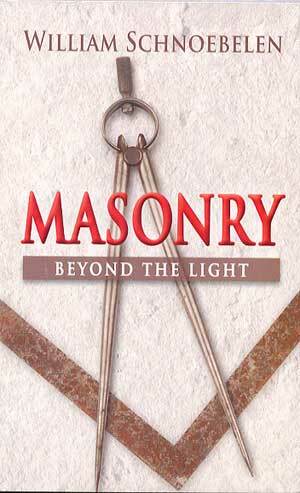 Bill thoroughly explores the true spiritual "light" behind Masonry. You will be shocked! Secrets the Jesuits don't want Christians to know. They do not want you to know the tight tie between Hitler and Himmler with the Vatican, from the beginning of the war to the very end. Out of Europe, a voice is heard from the secular world that documents historically the same information told by ex-priests. The author exposes the Vatican's involvement in world politics, intrigues, and the fomenting of wars throughout history. It appears, beyond any doubt, that the Roman Catholic institution is not a Christian church and never was. The poor Roman Catholic people have been betrayed by her and are facing spiritual disaster. Edmond Paris shows that Rome is largely responsible for the two great world wars.